This temple is located on the southern side of the Gilimanuk-Seririt road in North Bali. It offers scenic ocean views from its rocky hilltop location, and is home to a horde of grey long-tailed macaques. 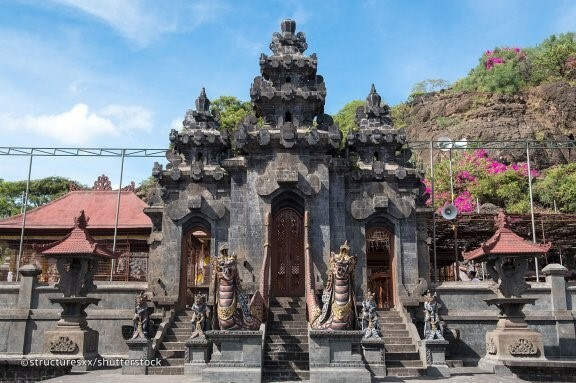 Locally referred to as Pura Agung Pulaki, the temple is an important historical landmark which commemorates the arrival in Bali of the Danghyang Nirartha, a highly venerated Hindu priest, in the early 16th century. The temple is within an hour’s drive west from the main hubs of Lovina and Singaraja. There are several other separate temples within a kilometre’s radius of Pulaki.